Kissing bugs have been in Georgia for millions of years. 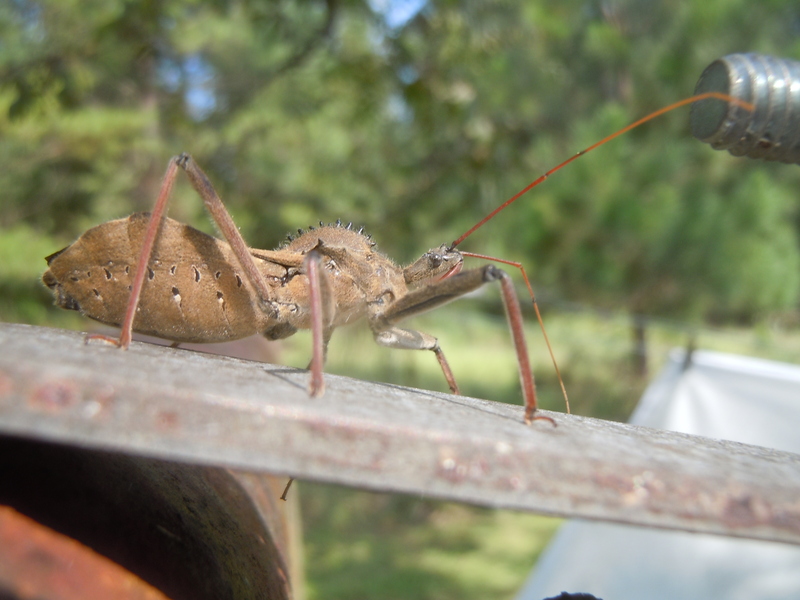 They, and their relatives such as leaf-footed bugs and wheel bugs, are common. Kissing bugs are not deadly and most of them are not infected with the parasite that causes Chagas disease. For us here in the Southeast, the risk is not being bitten by a kissing bug (very little chance of that). The riskier behavior would be cleaning up raccoon, opossum, skunk or armadillo nests; that’s where the bugs live and where kissing bug feces are most concentrated. The animals are not the risk, nor is the bite of the bug; we can get infected with Chagas disease only by getting the bug’s feces inside us – through a break in the skin, through swallowing, through inhalation, or through rubbing our eyes. Again, not much risk if we stay away from the nests of wild animals. What can you do? Keep bugs out of your home by turning off porch lights at night to avoid attracting the bugs. Seal around doors and windows with weather-stripping and replace door sweeps; if cold air cannot get in, neither can kissing bugs. And, of course, freezing cold nights are sending kissing bugs into hibernation, so the risk is even lower this time of year. Our forage crops look much better now than they did this time last season. October was dry just like last season, but some soil had enough moisture to get a stand though mid October. Last year, frosts and rain hurt us. We checked some oats for aphids and found none this week. Aphids were also a big issue this time last year. We are talking about fertility programs in our forage crops compared to our grain crops this week. When we plant wheat for grain, we go out with our recommended N based on previous crop at planting. We then check the stand in January to see how tillering is doing. If we have enough tillers, we hold off and put out the rest of our nitrogen at one time. If tillers are low, we split nitrogen to encourage tillering. The difference in our forage crop UGA Extension Forage Scientist Dr. Dennis Hancock says that we only intend to increase our vegetative growth. With grain, we want to count tillers and fine tune our nitrogen. 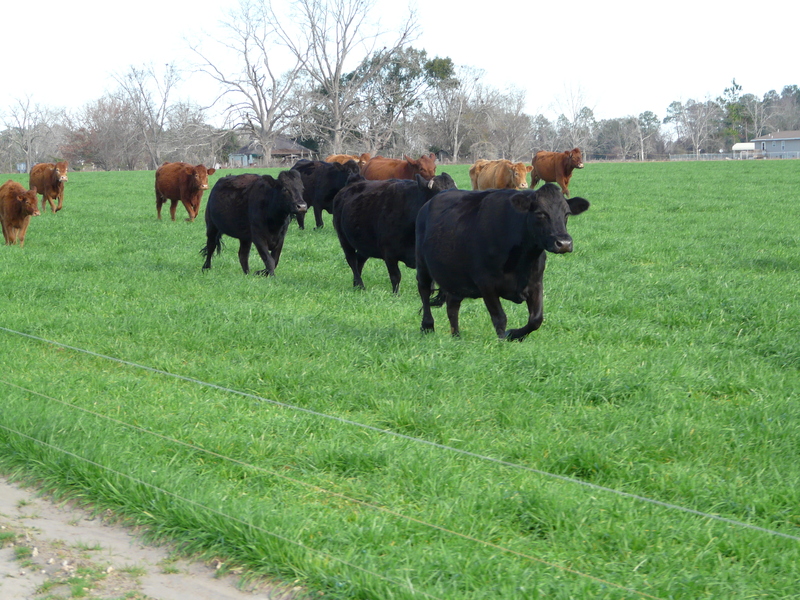 “With forage we want apply 40 – 50 lbs of N per acre at planting or soon after the plants emerge to increase growth, tillering (thickening of the stand), and provide earlier grazing. A second application of 40 – 50 lbs of N per acre should be applied in mid-winter to increase winter and spring forage production. 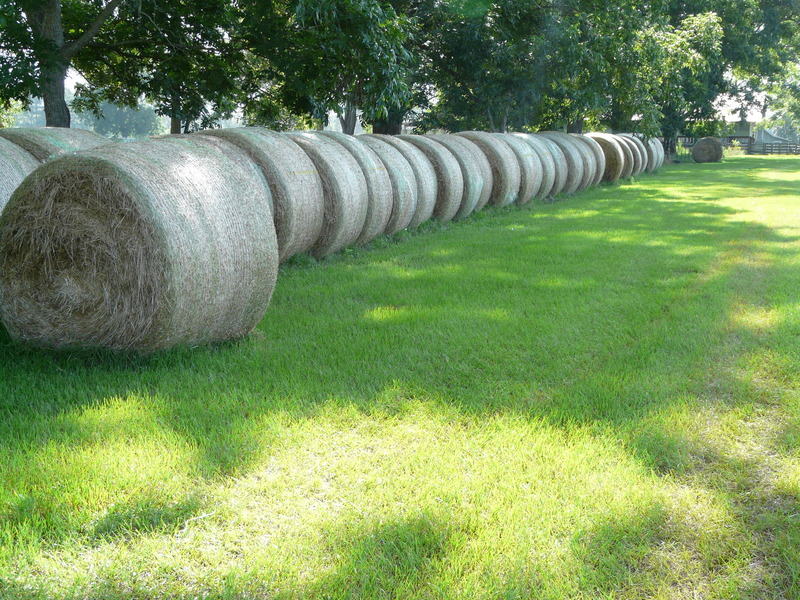 Because ryegrass is longer-lived, a third application of 40 – 50 lbs of N per acre may be needed in early spring when ryegrass is used for late spring grazing, hay, or silage crop. 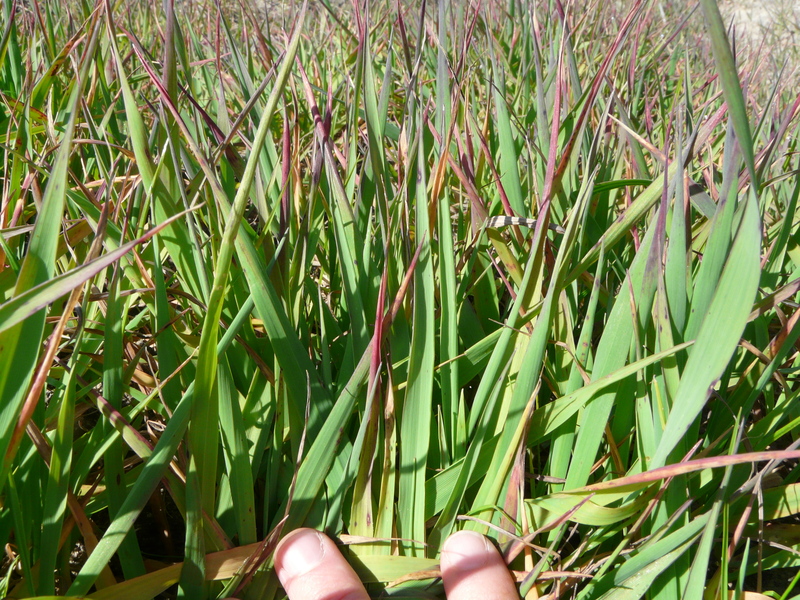 Rates of N in excess of these amounts may result in substantial N losses to leaching and excessive growth during the winter. 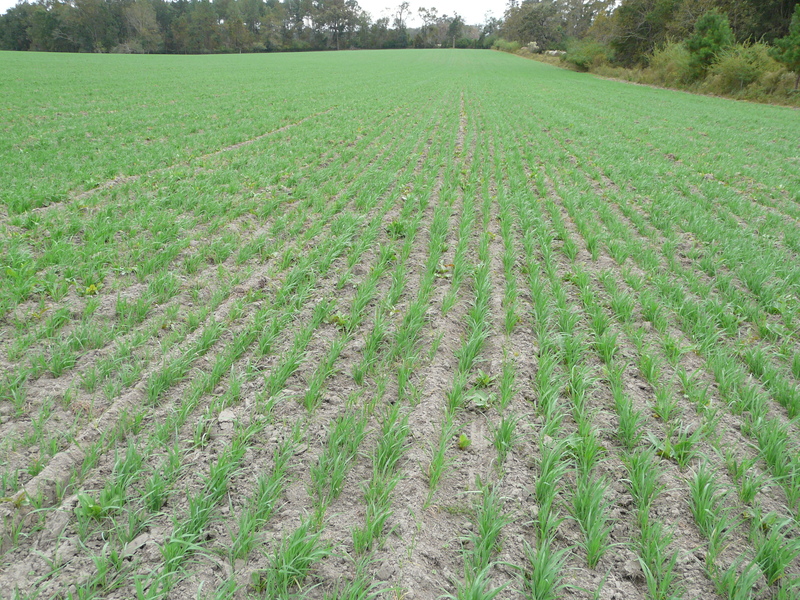 Fresh, tender growth that occurs when nitrogen is in excess could be damaged by extremely cold weather.” More information on fertilization can be found on the Georgia Forages website. As weather turns colder, there are some issues we will have in our grazing crops. Most fields this year are oats, rye, ryegrass or a blend. Oats are more susceptible to cold injury than other small grains. With cold injury, we will see purpling of the foliage. The purpling is the result from accumulation of anthocyanins after temperature drops. We do not expect permanent damage, as the growing point is below ground during the tillering stage until jointing. 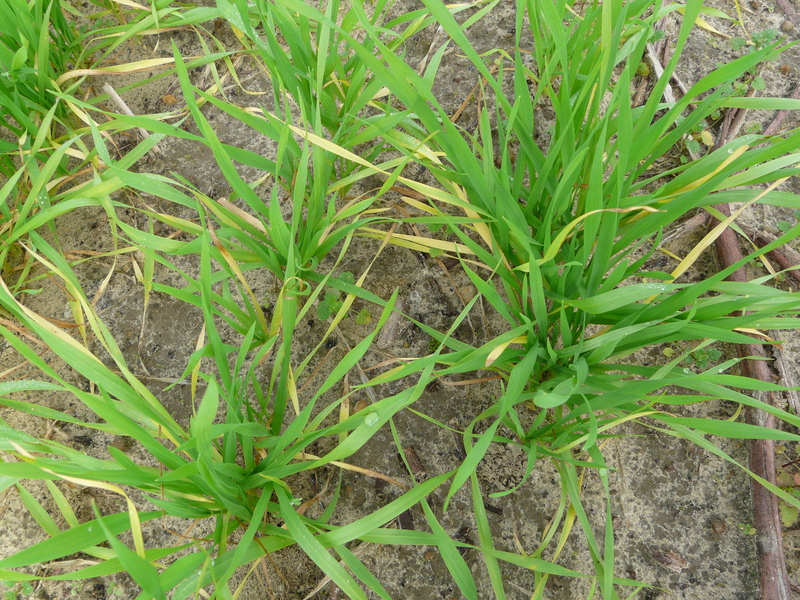 This reddish/purple color can also indicate barley yellow dwarf virus. These symptoms start from the tip of the leaf blade. The virus is vectored by aphids which are observed on the foliage. Most fields will have some level of BYDV each season. We are not seeing aphids now, so this is less of a concern. Another cause of purpling is due to phosphorus deficiency. P is not soil mobile and is taken up by root ‘interception meaning’ the roots must grow to it. Cold can decrease root growth and this becomes evident. Nitrogen and potassium on the other hand are soil mobile. 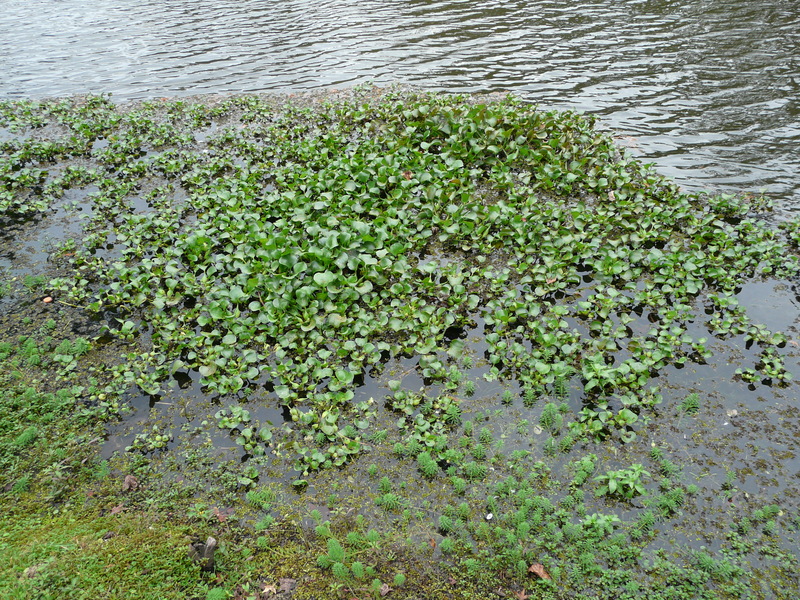 They can leach down into soil profile with rain. This time last season, rain was leaching N out of the soil. N is also mobile inside the plant, so older or lower leaves will show deficiency first. Ruminant animals aren’t as sensitive to mold problems as horses, but they still can be negatively impacted if care is not taken to prevent health challenges. Feeding slightly to moderately moldy hay (mold spore counts up to 1 million cfu/gram) is relatively safe if feeding cattle or small ruminants, as long as the animals are fed outside or in a very well-ventilated feeding area. Keep in mind that palatability is likely to be a challenge. Hay that emits a substantial cloud of “dust” or continues to emit dust after the disturbance ceases should be assumed to be > 1 million cfu/gram. A test can confirm mold levels. Hay that is obviously moldy (moldy or “mousey” smell or sending off visible “dust” or mold spores when disturbed) should be tested for mycotoxins before being fed. UGA’s Feed and Environmental Water Laboratory is not equipped to conduct the mold spore count test or the mycotoxin screen. (I contacted Waters Agricultural Labs in Camilla, GA and they are set up for this test.) You can, however, work through the UGA lab to arrange for these tests to occur. Alternatively, you can submit samples directly to labs that do conduct these tests (e.g, Cumberland Valley Analytical Services, Dairy One). By now many of you may have heard that Sulfoxaflor, the active ingredient in Transform, recently lost a major court decision in the Ninth Circuit Court of Appeals. The suit was led by the Pollinator Stewardship Council, beekeepers, and other bee advocacy groups. To sum up the decision, the courts ruled that the EPA did not have substantial evidence that the products effects on bees had been studied sufficiently prior to registration. What does this mean for the (growers)? Cotton: Over the last several years Transform has proven to be a highly efficacious product against the Tarnished Plant Bug and Cotton Aphid. It has essentially replaced 1-3 dicrotophos and acephate sprays for plant bugs in the MS Delta region. Grain Sorghum: Transform is essentially 1 of the 2 (Sivanto) only available options to control Sugarcane Aphids in grain sorghum (a new devastating pest of grain sorghum). This will increase the likelihood of resistance to Sivanto substantially in the coming year. At this time it is not clear what choices growers will have for 2016 but this decision no doubt will affect our overall IPM program for next year. As growers have begun to find out about the cancelation of Sulfoxaflor, many growers have expressed concern and frustration. As we learn more we will share. On November 12, 2015, EPA issued a cancellation order for all previously registered Sulfoxaflor products. Pursuant to EPA’s cancellation order, and beginning November 12, 2015, distribution or sale by the registrant of cancelled sulfoxaflor products is prohibited, unless such distribution or sale is for the purpose of disposal or export. Also, stocks of cancelled products held by persons other than the registrant may not be commercially distributed in the United States, but instead may be distributed only to facilitate return to the manufacturer or for proper disposal or lawful export. Use of existing stocks by end users is permitted provided such use is consistent in all respects with the previously-approved labeling for the product. 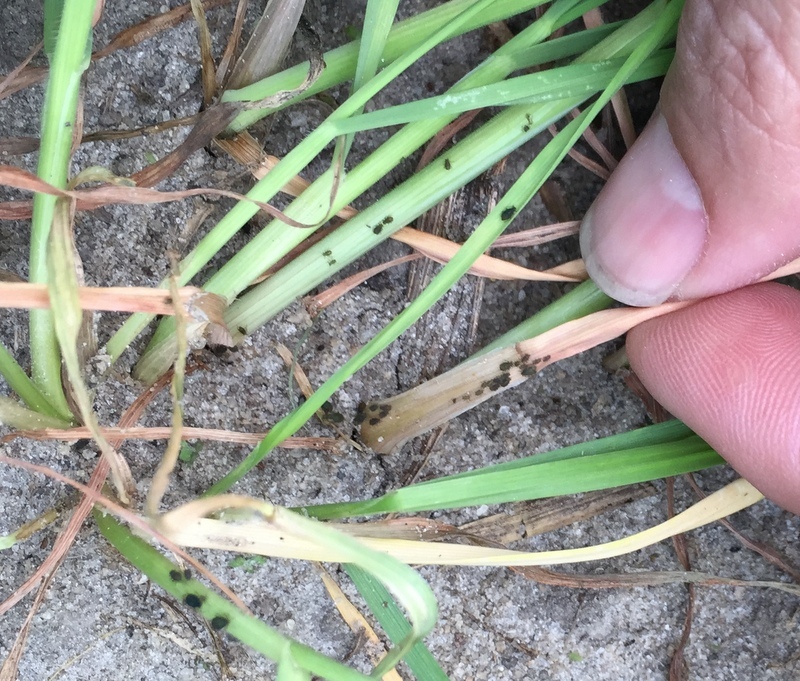 Seminole Agent Rome Ethredge and Decatur Agent Kyle Brown started seeing aphids this week. Brooks County Agents Stephanie Hollifiend and Ben Shirley just reported aphids as well. 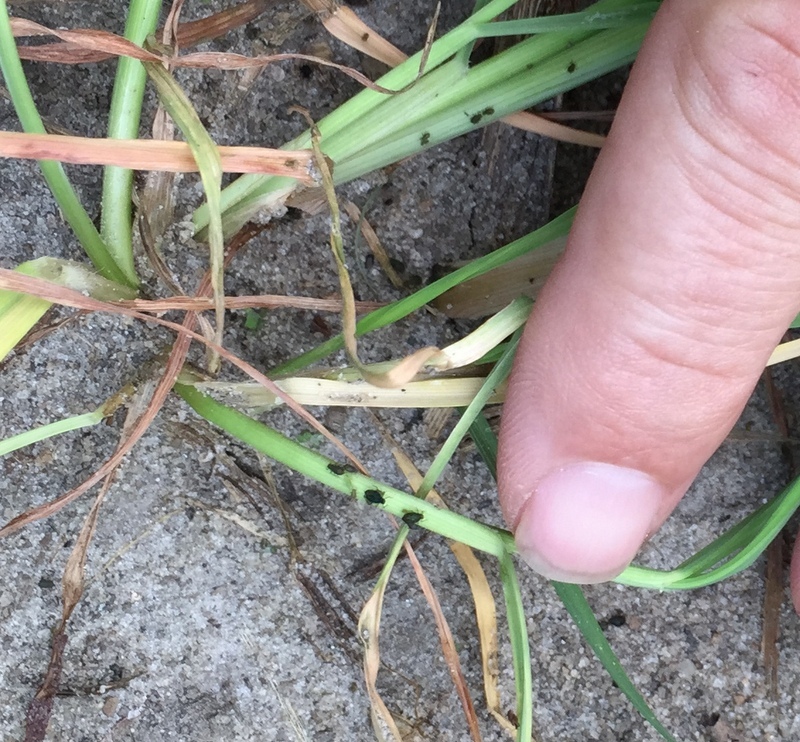 BYD was an issue last year, and we need to be aware of aphids. 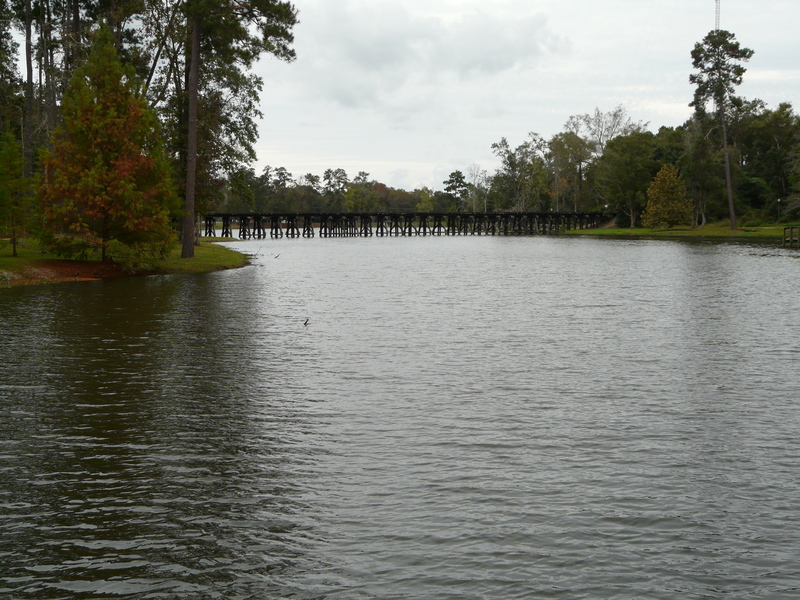 This is at Lake Cherokee in Thomasville where my wife and I and a friend were walking this past weekend. They have a nice track that is 1 mile long I used to walk when I lived at the apartments next door. We sometimes look at weeds they have working to control. Here is one I have not seen at the lake before but can become an issue. 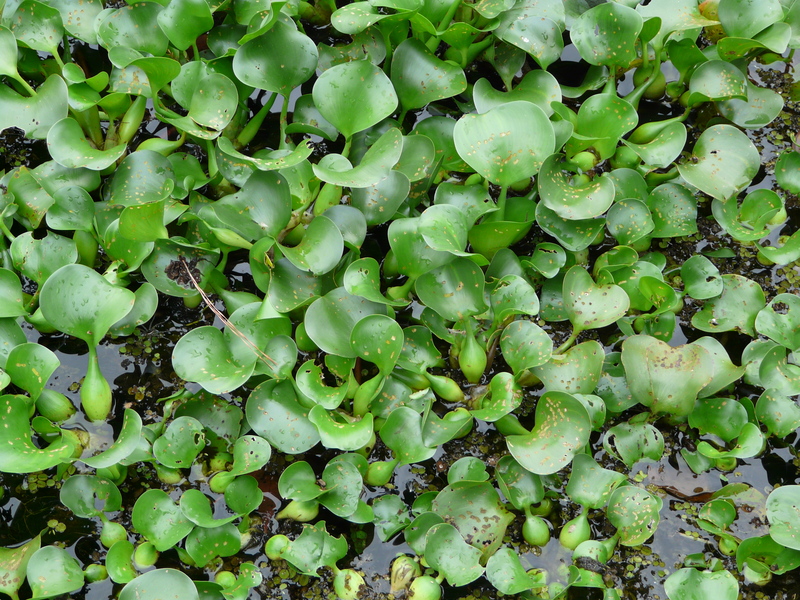 Water hyacinth is a floating pond weed that can get about 3 feet tall. It is also perennial. It has a purple/violet flower that comes up on a terminal spike. The roots are very fibrous underneath and develop into a thick mat resulting in oxygen depletions. 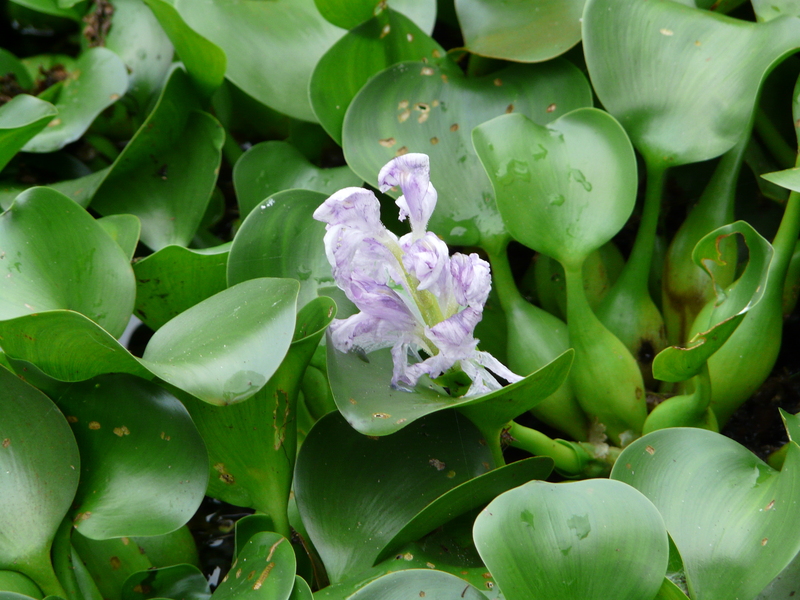 Many aquatic compounds have been successful at treating hyacinth like 2,4-D, diquat, and glyphosate. However, it is late in the season to think about treating. UGA Extension Aquaculture Specialist Dr. Gary Burtle says the only treatment option this late is diquat. It would be okay to apply a spot treatment with a 2% solution of diquat to the foliage to burn back plants. Then come back in March with another treatment to kill new growth.